XPRIMM: How do you comment on the evolution of the Croatian insurance market in the current year? 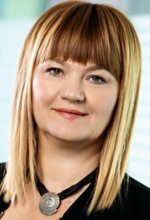 Jasminka HORVATH MARTINOVIC: Besides the regulatory aspect and the new legal framework for the whole European insurance industry, Croatian market is still facing decreasing interest rates with strong impact on life insurance and further liberalization of the MTPL market. Wiener osiguranje is not trying to keep the market share in MTPL at any price. We are, however, successful when it comes to growing premiums in the more profitable lines of business, such as health and property insurance. Furthermore, insurer's activities are influenced by public discussions about healthcare and pension reform, which will, once they are decided, require quick response. Wiener osiguranje is ready for these opportunities. Moreover, the number of active insurers reduced in 2018 according to the expectations and the consolidation process is likely continue in the following years. XPRIMM: At market level, what are your expectations for the end year and for the new year? J.H.M. 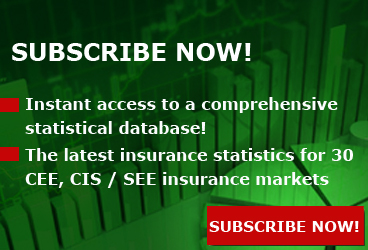 : Generally speaking, the Croatian insurance market is recovering and the negative trend from previous years has changed. Wiener osiguranje is giving a significant contribution to the market growth. About a quarter of the Croatian insurance market growth is generated by our company. We are expecting further increase in terms of premiums and market share in the following year, as we are aware of the amount of unused potential when it comes to insurance penetration. Our focus is on further development of health and non-motor insurance, along with the life insurance. XPRIMM: How would you comment on your company's evolution during 2018? J.H.M. : The highlights of the company's development in 2018 can be seen through the successful increase in the premium income along with the market share, while at the same time improving the cost efficiency. Numerous changes are currently taking place in the insurance market, both in terms of law and those related to consolidation, exploitation in the EU countries and protection of consumers' rights. There is a stable growth of insurers' income, but there are also great expectations given that Croatia has relatively low insurance coverage if compared to the EU average. Current difference is quite big - more than 2,000 euros per capita in the EU and about 280 euros in Croatia. So, this is something where further progress can be made. The already achieved growth rates stand for a successful multi-channel distribution and client proximity. The company is achieving its sales results mostly via strong internal network, increasing broker relationship and recently strengthened bank channel, as well as good local cooperation with our strategic partner, the Erste Group. One of the projects that has definitely launched us to current rankings is the Peljesac Bridge construction, and it will mean insuring the biggest infrastructure project in Croatia so far - it solves the strategic issue of linking this part of Croatia with the rest of the country. Peljesac Bridge, apart from the connection issue, also plays a key role in the social and economic revitalization of the entire area. As a main insurer, Wiener Insurance VIG will be a major part of this major and significant project for the entire Republic of Croatia. XPRIMM: In April this year VIG got the local market supervisory authority's approval to merge its two Croatian subsidiaries. What is the stage of the merger operation and how do you asses the results so far? J.H.M. : The legal merging process of companies is finished by Erste osiguranje officially becoming part of Wiener osiguranje Vienna Insurance Group, and the process of the harmonisation within the procedures and products has already been carried out. The company can now fully focus on its core business in order to achieve the goals of the merger. Main focus is being directed to the synergy of knowledge and the simplicity of products for our clients. The company is currently ranked 3rd on the Croatian insurance market (2nd in life insurance) and is even more stable and stronger than ever before with the current 9,3% market share. 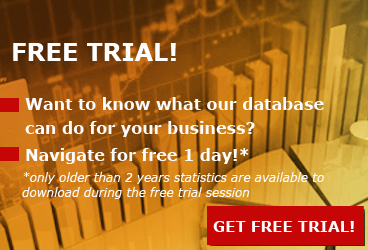 The solvency ratio is significantly higher than the legal requirements. We have every reason to believe that all of the planned financial results for the merged company can be fulfilled within the three years of planned period. XPRIMM: What are your company's future development plans? J.H.M. : We live in a world dominated by relentless technological evolution, so the main focus is embracing this evolution in order to be faster and more efficient, while at the same time developing innovative ways to respond to our client's needs. Our business strategy will deliver new and improved tools for both sales and clients, but also new and innovative, yet simple products aligned with modern way of life to attract millennial customers. In this area we are dealing with changes that are accelerating day by day, and we must not only observe them, but to lead and run them. This not only means implementing changes regarding our everyday operations, but also developing entirely new strategies. However, as much as we must react quickly and flexibly, we must not lose our main principle - the importance of quality of our products and services. Corporate social responsibility in Wiener osiguranje has four main directions of focus - responsibility towards clients, society, environment and of course, continuous and regular education for our employees. In each segment we have active projects. For example, we offer our customers products with the added value - for each new health policy contract, we donate a part of the sales income to the association Red Noses Clown Doctors on behalf of our clients. Our main CSR project regarding society problems is (O)siguran online - online safety of children. With this project, we wanted to raise awareness about this major issue in Croatia. To do so, we started an online national campaign of education and organized lectures in primary schools for every region. Recently, 130 employees were engaged in the environmental project Boranka. They helped planting new trees in the area that was almost completely burned out in the huge fires on Croatian coast during last summer. XPRIMM: Motor insurance holds a significant share in the Croatian insurance market's portfolio. How would you comment on the motor insurance lines' evolution this year? J.H.M. 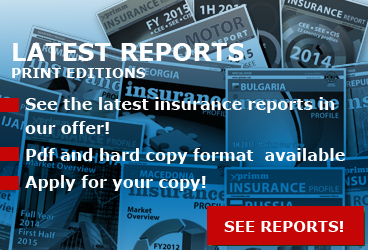 : This year motor insurance market in Croatia has significant growth. Main reason for growth is that some Croatian companies have opened subsidiaries in the EU. On the domestic market, the average premium of MTPL stabilized, while in motor hull a slight growth of average premium is observed. Profitability on motor business has decreased compared to years before liberalization, but we think it is still a profitable business. Croatia has gone through the liberalization of motor insurance, competition is extremely strong and consolidation is a logical step if companies want to stay profitable. VIG systematically consolidated, we had the highest number of mergers, but it brought us better results each time. We believe that our advantage is in the insurance areas where price levels are not the key factor, and the level of service and competence for more demanding insurance policies is usually a decision maker. We believe that efficiency, quality and transparency during the contracting process are most important to our clients. If damage occurs, it is important for our client to get high quality, fast service. More than 99 percent of the damage is solved outside the court dispute, which is an indicator of our service quality and fairness. Given the level of our service, we consider that our goal is not to be branded as an insurance company with the lowest price. 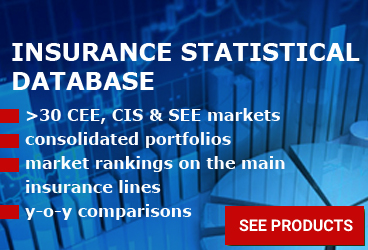 XPRIMM: The Croatian market is one of the CEE markets with a rather modest coverage degree in home insurance. What are the main reasons behind this situation? Are there, in your view, any solutions to narrow the protection gap that may be used and were not enough taken into consideration? J.H.M. : People do not have a clear perception of the actual cost. If you ask them how much the insurance policy would be, they usually say twice as much as the actual cost is. This is why it is necessary to demystify the prices. Through the Croatian Insurance Bureau (HUO), we all work together to educate Croatian citizens. We want to point out the significance of life insurance, as well as the importance of securing the property. Huge part of the properties in Croatia is not secured, and the small part with existing insurance is mostly a consequence of banks' demand when giving housing loans. After fires and floods emerge, there is always a higher demand for policies, but unfortunately, this interest for insurance quickly vanishes. The solution is to invest more in financial literacy of citizens, which should not be not only our responsibility and assignment, but the process which involves the whole market. XPRIMM: Life insurance products with a UL savings side have recorded a negative evolution in the first half of 2018, while the traditional life insurance line saw a double-digit growth rate. How do you comment on these divergent evolutions? J.H.M. : There is a lack of trust on the Croatian market for unit-linked products since the economic crisis in 2008. In general, UL premium is only one fifth of the total life premium. Although one would expect that people would seek the potential of better profit trough investment funds in low yield environment, market is still keen on guarantees. Second possible factor for UL premium decrease might be the PRIIP regulation. Some companies stopped selling the UL products and some clients got confused by the information received via KID document. Both resulted with the decrease of sale. Double digit growth rate on traditional life business comes mostly from single premium products as a consequence of shifting the sales from single premium UL product to the single premium endowment product.